Click here to view all pictures from day 1! 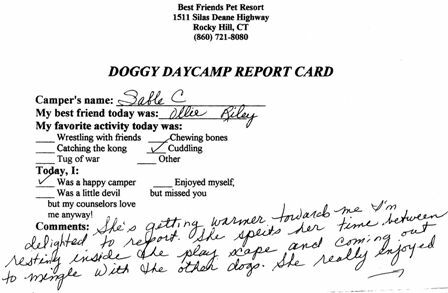 Here is Sable’s report card from here 2nd day at Doggy DayCamp. She did much better the 2nd; she made new friends and even had a little activity. 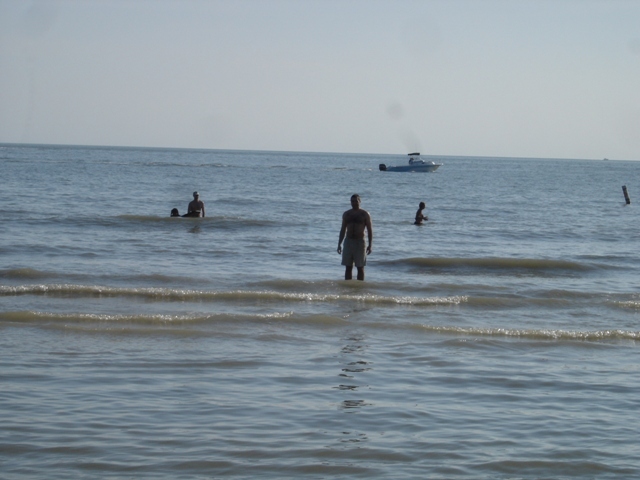 Still shy of people but is getting better with some of the trainers. 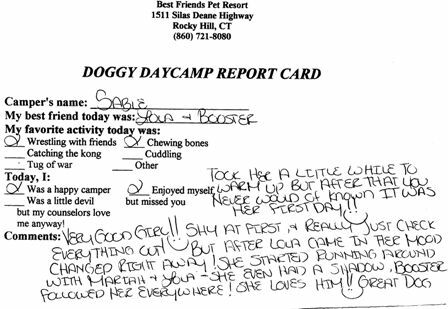 On Monday March 6th, Sable went to her first day at Doggy DayCamp at the Best Friends Pet Care in Rocky Hill. Anne and I were very concerned because she was really shy in the interview and didn’t really play or visit with the trainer. Though she did really well on her first day, playing with other dogs and making friends. At the end of the day each dog gets a report card and I have Sable’s from her first day.